When did viruses, Trojans and worms begin to pose a threat? Most histories of viruses start with the Brain virus, written in 1986. But that was just the first virus for a Microsoft PC. Programs with all the characteristics of viruses date back much farther. Here’s a timeline showing key moments in virus history. John von Neumann, the father of cybernetics, published a paper suggesting that a computer program could reproduce itself. H Douglas Mcllroy, Victor Vysottsky, and Robert P Morris of Bell Labs developed a computer game called Core Wars, in which programs called organisms competed for computer processing time. Programmers began to write placeholders for mainframe computers. If no jobs were waiting, these programs added a copy of themselves to the end of the queue. They were nicknamed “rabbits” because they multiplied, using up system resources. Bob Thomas, a developer working on ARPANET, a precursor to the Internet, wrote a program called Creeper that passed from computer to computer, displaying a message. A K Dewdney wrote Pervade as a sub-routine for a game run on computers using the UNIVAC 1100 system. When any user played the game, it silently copied the latest version of itself into every accessible directory, including shared directories, consequently spreading throughout the network. John Shoch and Jon Hupp at Xerox PARC began experimenting with worms designed to perform helpful tasks. The Vampire worm was idle during the day, but at night it assigned tasks to under-used computers. Joe Dellinger, a student at Texas A&M University, modified the operating system on Apple II diskettes so that it would behave as a virus. As the virus had unintended side-effects, it was never released, but further versions were written and allowed to spread. Rich Skrenta, a 15-year-old, wrote Elk Cloner for the Apple II operating system. Elk Cloner ran whenever a computer was started from an infected floppy disk, and would infect any other floppy put into the disk drive. It displayed a message every 50 times the computer was started. The EGABTR Trojan horse was distributed via mailboxes, posing as a program designed to improve graphics display. However, once run, it deleted all files on the hard disk and displayed a message. The first virus for IBM PCs, Brain, was allegedly written by two brothers in Pakistan, when they noticed that people were copying their software. The virus put a copy of itself and a copyright message on any floppy disk copies their customers made. This was an email Christmas card that included program code. If the user ran it, it drew a Christmas tree as promised, but also forwarded itself to everyone in the user’s address book. The traffic paralyzed the IBM worldwide network. Robert Morris, a 23-year-old student, released a worm on the US DARPA internet. It spread to thousands of computers and, due to an error, kept re- infecting computers many times, causing them to crash. The AIDS Trojan horse came on a floppy disk that offered information about AIDS and HIV. The Trojan encrypted the computer’s hard disk and demanded payment in exchange for the password. Tequila was the first widespread polymorphic virus. Polymorphic viruses make detection difficult for virus scanners by changing their appearance with each new infection. 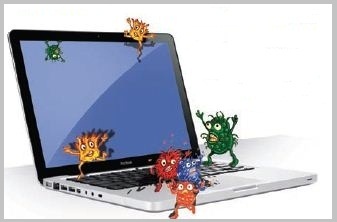 The Michelangelo virus was designed to erase computer hard disks each year on March 6 (Michelangelo’s birthday). After two companies accidentally distributed infected disks and PCs, there was worldwide panic, but few computers were infected. The first email hoax warned of a malicious virus that would erase an entire hard drive just by opening an email with the subject line “Good Times”. The first document or “macro” virus, Concept, appeared. It spread by exploiting the macros in Microsoft Word. CIH or Chernobyl became the first virus to paralyze computer hardware. The virus attacked the BIOS, which is needed to boot up the computer. Melissa, a virus that forwards itself by email, spread worldwide.Bubbleboy, the first virus to infect a computer when email is viewed, appeared. “Distributed denial-of-service” attacks by hackers put Yahoo!, eBay, Amazon and other high profile websites offline for several hours.Love Bug became the most successful email virus yet. The first virus appeared for the Palm operating system, although no users were infected. Malicious programs began to exploit vulnerabilities in software, so that they could spread without user intervention. Nimda infected users who simply browsed a website. Sircam used its own email program to spread, and also spread via network shares. The Sobig worm gave control of the PC to hackers, so that it became a “zombie”, which could be used to send spam.The Mimail worm posed as an email from PayPal, asking users to confirm credit card information. Malicious IRC (Internet Relay Chat) bots were developed. Trojans could place the bot on a computer, where it would connect to an IRC channel without the user’s knowledge and give control of the computer to hackers. Spam mail hyping shares in small companies (“pump-and-dump” spam) became common. The Zippo and Archiveus Trojan horse programs, which encrypted users’ files and demanded payment in exchange for the password, were early examples of Ransomware. First coined by the U.S. Air Force in 2006 and functionally defined by Alexandria, Virginia security firm Mandiant in 2008 as a group of sophisticated, determined and coordinated attackers. APTs are equipped with both the capability and the intent to persistently and effectively target a specific entity. Recognized attack vectors include infected media, supply chain compromise and social engineering. Scaremongering tactics encourage people to hand over credit card details for fake antivirus products like Antivirus 2008. The US Computer Emergency Response Team (US-CERT) issues a warning that a fraudulent iPhone upgrade, “iPhone firmware 1.1.3 prep,” is making its way around the Internet and users should not be fooled into installing it. When a user installs the Trojan, other application components are altered. If the Trojan is uninstalled, the affected applications may also be removed. Conficker, a worm that initially infects via unpatched machines, creates a media storm across the world. 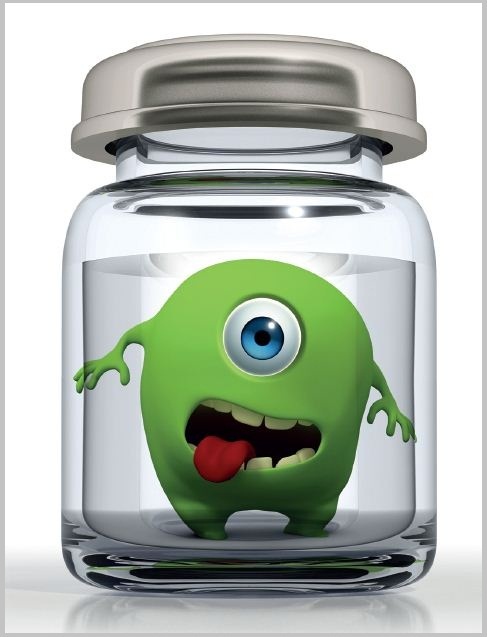 Complex viruses return with a vengeance, including Scribble, a virus which mutates its appearance on each infection and used multiple vectors of attack. Android FakePlayerAndroid/FakePlayer.A is a Trojan that sends SMS messages to premium rate phone numbers. The Trojan penetrates Android-based smartphones disguised as an ordinary application. Users are prompted to install a small file of around 13 KB that has the standard Android extension .APK. But once the “app” is installed on the device, the Trojan bundled with it begins texting premium rate phone numbers (those that charge). The criminals are the ones operating these numbers, so they end up collecting charges to the victims’ accounts. Discovered in June 2010 the Stuxnet worm initially spreads indiscriminately, but is later found to contain a highly specialized malware payload that is designed to target only Siemens supervisory control and data acquisition (SCADA) systems configured to control and monitor specific industrial processes. Stuxnet’s most prominent target is widely believed to be uranium enrichment infrastructure in Iran. The first Android drive-by Malware is discovered, a Trojan called NotCompatible that poses as a system update but acts as a proxy redirect. The site checks the victim’s browser’s user-agent string to confirm that it is an Android visiting, then automatically installs the Trojan. A device infected with NotCompatible could potentially be used to gain access to normally protected information or systems, such as those maintained by enterprise or government.